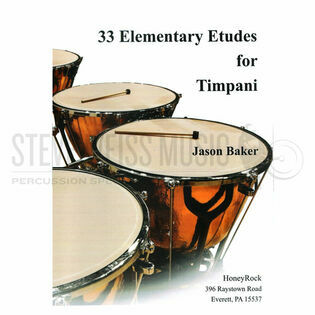 The etudes in Jason Baker's 33 Elementary Etudes for Timpani are intended to help students build confidence reading timpani parts and moving fluently around the drums. 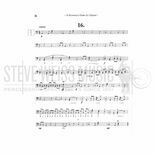 Performance techniques, tuning changes, metric schemes, rhythmic patterns, and other indications that can be commonly found in student-level solo, band/orchestra, and percussion ensemble repertoire are utilized. In addition to supplementing private study, this collection should be considered for auditions, solo/ensemble festivals, and sight-reading for more advanced players. For recital performance, several contrasting etudes can be combined into a suite.